PY Tang senior photo.Technique 1924. Courtesy MIT Archives and Special Collections. pinyin Tang Bingyuan (Class of 1923, Engineering Administration), known as “P.Y.,” was a native of Wuxi in Jiangsu province, and the scion of a prominent family in business, scholarship and government service. His father, Tang Pao-chien, was a merchant and successful founder of textile, rice polishing and flour mills, as well as a vegetable oil extraction company. Born in Beijing, Tang Ping Yuan (aka Tang Xinghai 唐星海) was educated at St. John’s University in Shanghai and Tsinghua College in Beijing. An outstanding scholar, he won one of the coveted Boxer Indemnity Scholarships to study in the US. Tang arrived in America in September 1920, enrolling first at the Lowell Textile School to study textile engineering along with several other Tsinghua scholars, then transferring to MIT in his junior year to study engineering administration. 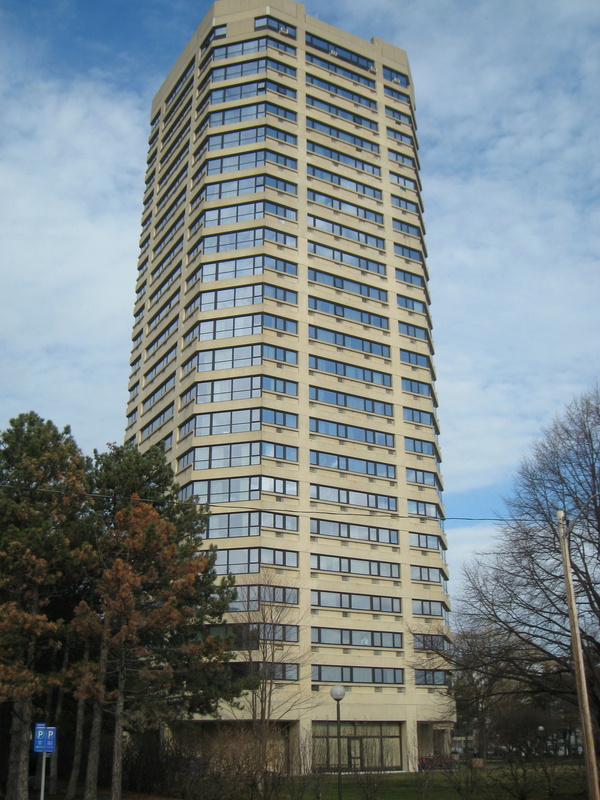 While at MIT, Tang was a member of the Rifle Club, the Cosmopolitan Club, the Corporation XV, the Mechanical Engineering Society, and the Chinese Club, for which he served as President his senior year. 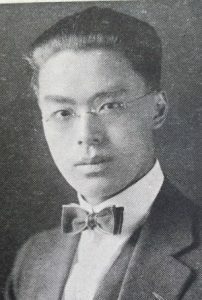 In 1923, Tang was selected as an MIT representative in the formation of a local “information bureau” for Chinese students in Boston. Tang was further linked to the early history of Chinese overseas education through his wife’s father, Wen Bingzhong (1862-1938), a student in the second detachment of the Chinese Educational Mission (CEM), who became a famous Qing official. His wife, Kinmay Wen Tang (Wen Jin-mei, 1903-1988], was educated at the Leamington School in Warwickshire then taught at the famous McIntyre School for Girls in Shanghai. The family were thus pioneers in Western education of the time. Tang had hoped to complete a master’s degree after receiving his BS in 1923, but the death of his older brother compelled him to return to China to run the family’s textile business. With his stellar training and experience, Tang emerged as a leader in the textile industry, introducing modern equipment and management techniques. In his heyday, Tang was the third largest textile manufacturer in China, and was known as one of the “kings of industry.” Following his father’s advice to enter manufacturing relating to the “four necessities in life” – clothing, food, housing, and transportation – at various points in his career Tang took up textile manufacturing, flour milling and vegetable oil production, brick and cement manufacturing, and automobile importing. In 1948, with the impending Communist takeover of China, Tang moved his family to Hong Kong. There, he continued to be a leader in the textile industry and active in political life. 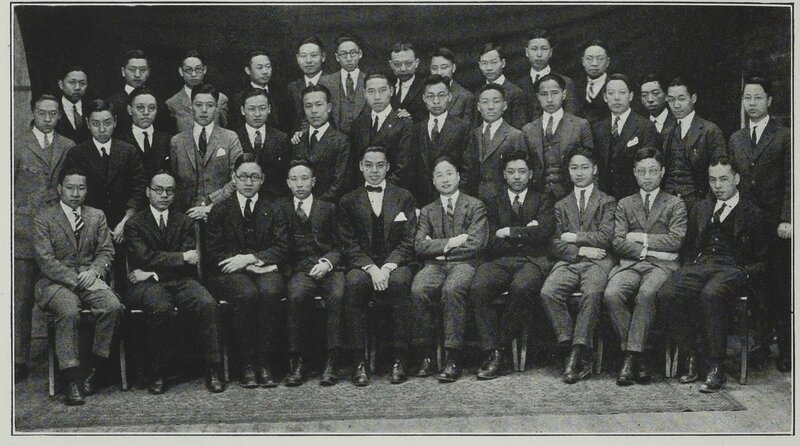 Chinese Students’ Club, 1923. PY Tang as President. Technique 1924. Image courtesy MIT Archives and Special Collections. A recognized leader in the Chinese business world, Tang was also active in public life and educational circles. In 1935, he was elected to Academia Sinica’s engineering research council. He also served on the National Economic Council and the National Chamber of Industry and Commerce. In the 1960s, Tang served on both Hong Kong’s Legislative Council and its Executive Council. He was also a Trustee of both the Chinese University of Hong Kong and the University of Hong Kong, among numerous other positions. 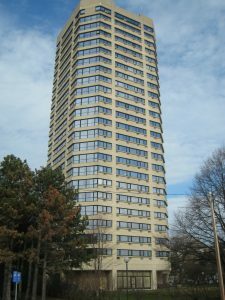 A renowned philanthropist like his father, Tang donated several important buildings to universities in Asia, continuing his dedication to education. In 1968, Tang received an honorary doctorate in law from the Chinese University of Hong Kong. For his services to Hong Kong, Tang was awarded an OBE and CBE by the British Government.